RSSBus Connect links your cloud-based CRM and storage accounts together seamlessly, making it easy to automate manual task like exporting your CRM data to cloud-based storage services. 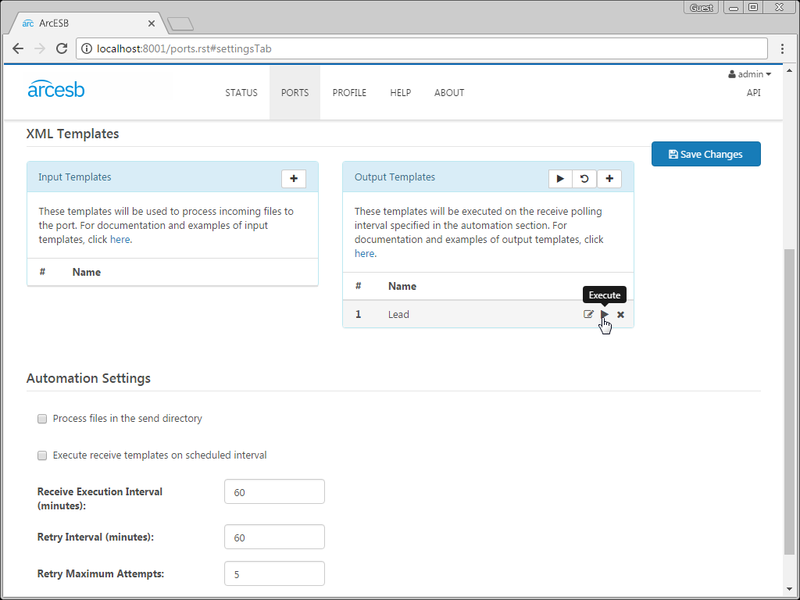 The following sample project demonstrates how different ports in RSSBus Connect are used to automatically take Salesforce Leads and store them as a CSV on Box.com. The Salesforce port is configured with a default output template for the Salesforce Lead table. 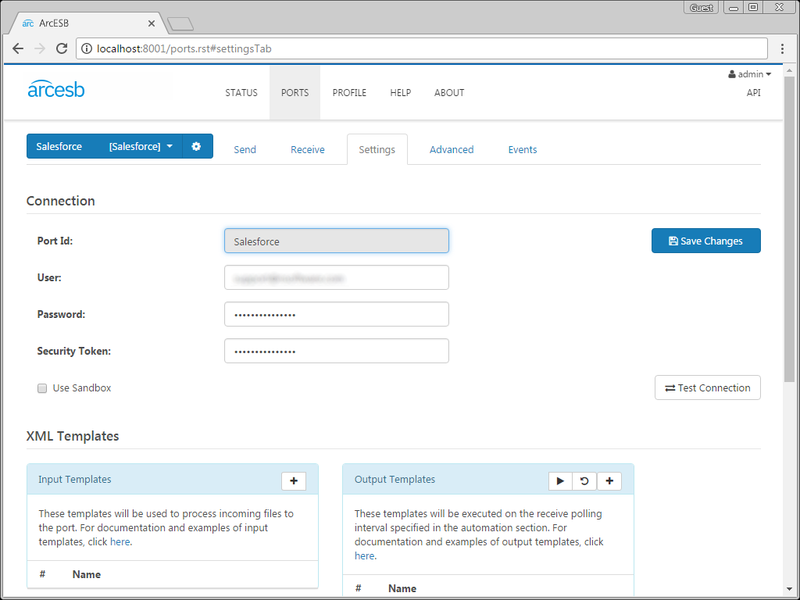 This template is configured to poll Salesforce for new Leads that have been added to Salesforce since a pre-determined date and time. The application generates a single XML file for all of the Leads in Salesforce processed (set the BatchResults advanced setting for the port to 'true'). Open the template file to view the logic controlling the query. Set the skipProcessedRows attribute to 'true' to prevent the application from pulling in data that has been previously retrieved. And add a WHERE clause to the selectQuery attribute to limit the query to retrieve data modified since the specified date. 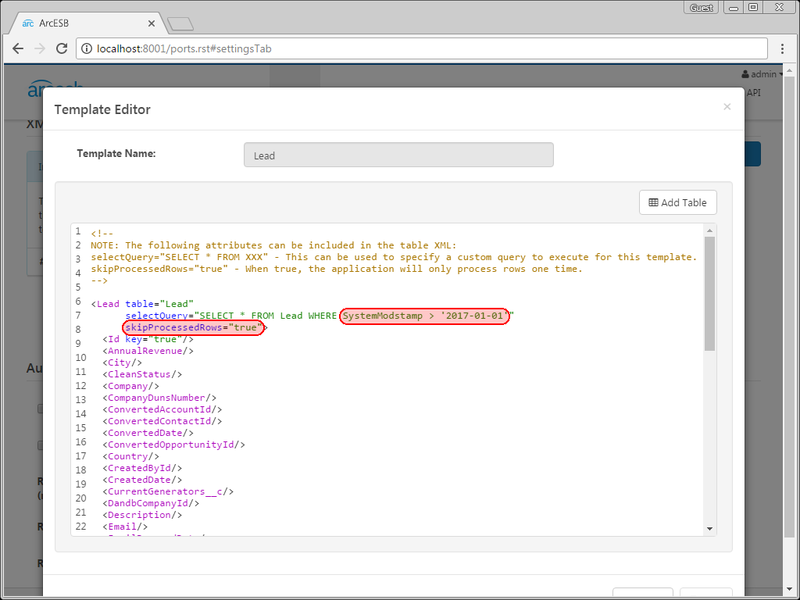 Click the run symbol next to an individual template to run that specific query, or click the run symbol in the Output Templates window to run all of them in succession. The port has already been configured to poll the Salesforce account on a scheduled interval, which is seen in the Settings tab under the Automation Settings section. Once the port has retrieved the data and generated an XML file, the result is sent to the MAP_SF_to_CSV port. The mapping port MAP_SF_to_CSV is used to convert the XML file containing the Salesforce Leads into a CSV file with headers to represent the fields for the Leads. Files placed in the Send folder for the MAP_SF_to_CSV port are processed automatically. You can also send files manually: On the Send tab, click More -> Upload. Click the Send button to process the file. After converting the file to a CSV, the file is automatically sent to the Box.com port to await further processing. The Box.com port pushes CSV files into a Box.com account. 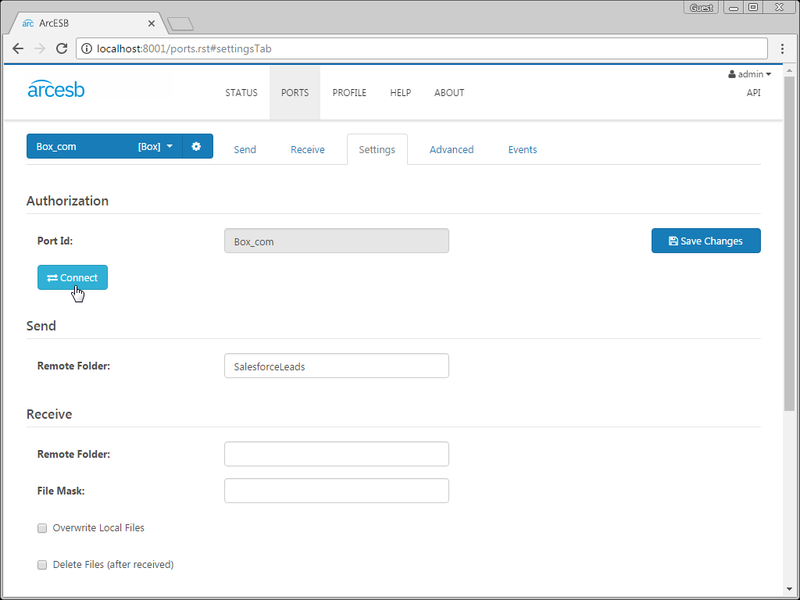 Connect to your Box.com account and configure the Remote Folder where the CSV will be added. Just like with the Salesforce port, this port has already been configured to automatically process new files added to the Send folder. View these options in the Settings tab under the Automation Settings section. You can also send files manually: On the Send tab, select unsent files and click the Send button to process the file. 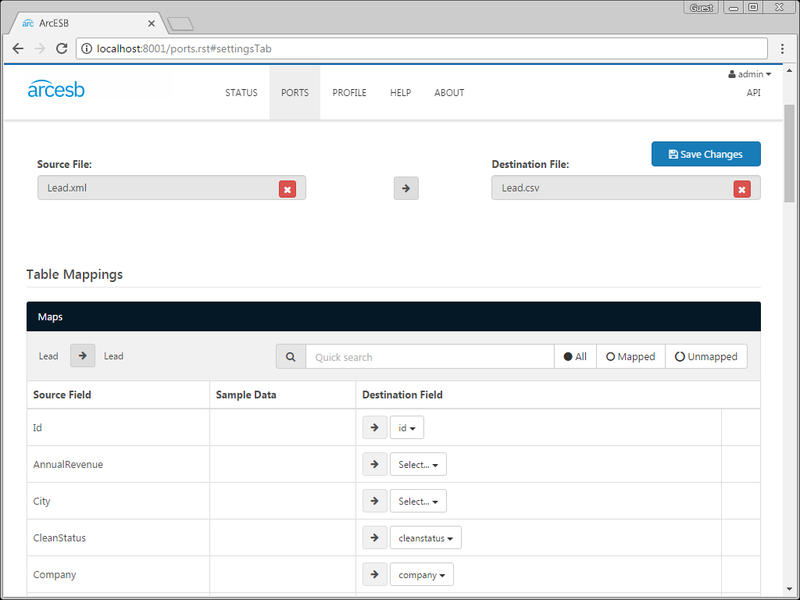 As you can see, with RSSBus Connect, it is possible to automate your cloud data accounts, storing Salesforce data directly in Box.com. For more information on RSSBus Connect, visit our home page. Download your free, 30-day trial and start controlling your business document exchange today!